If you think about it, customized sweatshirts are message bearers – a visual ID or even a resume. Have you ever walked past a guy wearing a HARVARD sweatshirt? And what did you think of him before seeing HARVARD and after seeing HARVARD? Come to think of it, wearing a customized sweatshirt is like running a PR campaign on your behalf, molding people’s opinion in your favor. But sweatshirts weren’t always put on for this purpose. It was the preferred clothing choice of athletes in the mid-1920s. The 1960s, it seems, was the era of experimentation. People experimented with sweatshirts too, non athletes started wearing them as well. The designers saw marketing potential and started to make them a part of their collection in the 1980s. By the 2000s, sweatshirts were part of everyone’s wardrobe. The era of the sweatshirt had arrived. There is a common misconception about sweatshirts: Sweatshirts make you look frumpy. They are considered a piece of clothing that is just thrown on without any thought given to fashion or style. But in reality, there is a lot more to them than meets the eye. They are a popular form of clothing that come in several cuts and multiple fabrics. 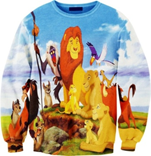 In recent years, a new trend of custom made sweatshirts has emerged. You won’t find them at Wal Mart or J C Penny’s, in fact they are manufactured for specific individuals or sets of individuals. Meaning if you want a sweatshirt that says ‘One Tequila, Two Tequila, Three Tequila…Floor’ with a picture of your brother drunk, well there are people who can do that for you. With custom sweatshirts, not only can you choose the color and size according to your needs and preferences, but you can pick a design of your choice as well. You could go for custom embroidered or custom printed sweatshirts. On top of that, you could look into fancy patterns or witty slogans to put on your sweatshirt that speak of your individual style. 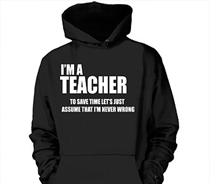 Slogans – There are various types of slogans you could get printed on your sweatshirt. You could go for quotes, funny lines or something that says a lot about who you are. They can range from anniversary quotes to Air Force mottos and slogans. The key here is to express and not worry what others might think. I’m Kind of A Big Deal – Ron Burgandy all the way! Or Lion King also sounds like a good idea especially if you’ve just become a parent or gotten that promotion you wanted. With such a huge variety of customizable sweatshirts available, you don’t have to cast these clothing items aside as back up wear, or wear them when you have nothing else to wear. You can turn them into your own individual pieces of art and wear them with style and confidence, as your first choice. How to Get the Perfect Sweatshirt? The perfect sweatshirt is an ideal mix of fitting, cut, color, fabric and most importantly, the design. The first matter of concern should be the fitting. If your sweatshirts are too large, they will appear sloppy and if they are too small, they will make you seem large and unflattering. Take into account not only your build, but also your height. The sweatshirt should ideally fall on the waist or hips, and the sleeves should be long enough to reach the base of the wrist. For this purpose, you need to be well aware of not only the types of cuts available, but also your body type. The perfect combination of these two will accentuate your body. If you don’t know your body type, have a look and try to figure out where you fall. Rectangle Body Type – This kind of body lacks a defined waist or clear curves. In case of weight gain, the weight is evenly distributed throughout the body. Pear Body Type – The shoulders are narrow in comparison to the hips, and the shirt size is often smaller than the trousers size. The tendency to gain weight lies more in the hips and the bottom region. Hourglass Body Type – The shoulders and hips are balanced, the waist is nipped in and the weight gain tends to be evenly distributed. Oval Body Type – The hip line is wide and the overall frame is heavy with a large bust. Weight gain is more focused around the stomach region. Wedge – This is the classic athletic build, with broad shoulders and relatively smaller hips. Weight typically disproportionately gathers in the arms and shoulders. Note – These body type descriptions are more relevant to the female body than the male body. Now that you have a list of body types, you can easily figure out what body type belongs to you and choose a sweatshirt that compliments you. Color and skin tone is an obvious consideration. Everyone has certain shades that look good on them, while others do not. In addition to getting a sweatshirt of the right size and cut, it helps the overall look if you get sweatshirts that complement your skin tone and complexion as well. Colors for Warm Undertones – Red, yellow or peach, classify as warm undertones. They should be matched with sweatshirts of a similar spectrum. In addition to red, yellow and peach, green and purple would also look great. Colors for Cool Undertones – People with blue or pink undertones have the ideal ‘cool complexion’. They look best in colors such as blue and pink, along with complementary colors such as green and orange. Sweatshirts are not only about color, fabric, fit or cut. The design matters too. The printed or embroidered patterns will make a whole lot of difference. While you can get a large variety of designs in the market, there is a whole other option for you to look into. So the next time you need a new sweatshirt, consider custom sweatshirts from any of the reliable online designers. 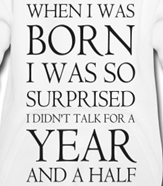 After all if you’re too polite or shy to say it, let your sweatshirt do the talking for you.